Two Kapamilya celebrity had a fight Thursday night during practice for a late-night gag show in San Juan City. 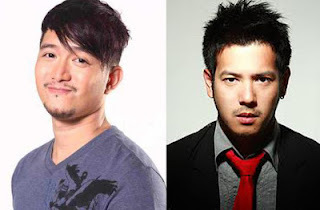 ABS-CBN News reported that comedian Jason Francisco hit the actor / comedian John Prats. John said, "I was watching sa rehearsal ng 'Banana Split' then from behind sa likod ko, sinapak niya ako sa mukha, dito at dito (pointing to chin, cheek). Na sa likod siya. Tapos nung humarap na ako, sabi ko, 'Anong problema mo?'." He was hit three times by Jason on his cheek and chin at the Music Museum. John added, "Hindi ko alam kung bakit niya ako biglang sinapak. Para akong nakakita ng demonyo." According to the Director of Banana Split, "Akala ko tatapikin lang si John, tapos 'yung tapik niya isang malakas na sampal, tapos isang suntok sa kaliwa tapos suntok ulit, bali tatlo. Tapos inawat na namin kasi nagulat kami pareho." On the other hand, Jason admitted what he did to John. According to him, he was hurt by the jokes about him and Cantiveros. Jason Francisco want to apologized to Prats and the staff of the program personally. For the meantime, if you like the information about John Prats and Jason Francisco fight issue, please bookmark this page and share it to your friends on Facebook, Twitter and Google+. Comments or suggestions about "John Prats and Jason Francisco fight issue" is important to us, you may share it by using the comment box below.